SOOTHING AND PROTECTION – Due to specially developed formulation the emulsion provides a unique and long-lasting feeling of freshness, protection and care. Product developed in cooperation with specialists in the field of gynecology, dermatology and allergology. CALMING AND SOOTHING – D-panthenol soothes, calms and prevents irritations and redness. 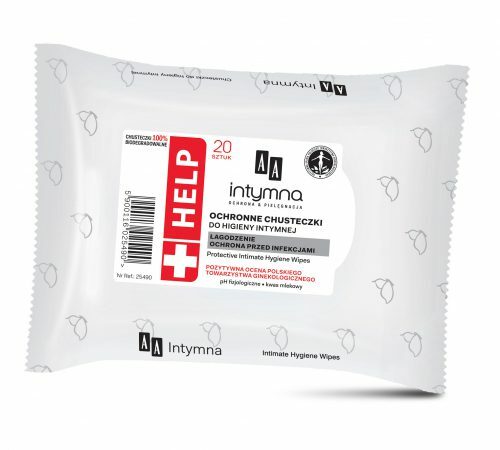 PREVENTS DEHYDRATION OF THE MUCOUS MEMBRANES – Betaine provides optimal hydration and protects the epidermis and mucous membranes from dehydrating. 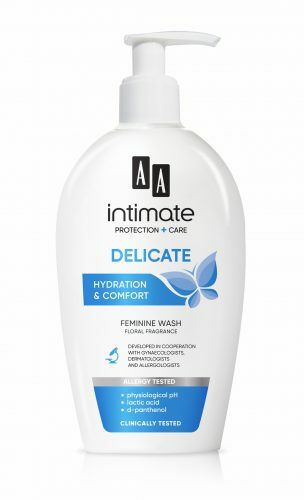 ANTIBACTERIAL PROTECTION – Lactic acid provides a suitable pH of intimate area, while interacting with an antifungal and antibacterial component, prevents infections and inflammations. For daily external application. Replaces soap. 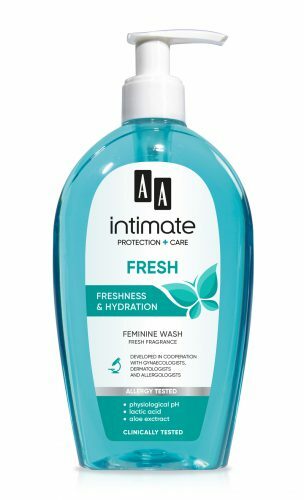 Use a small amount of liquid to cleanse the intimate area. Rinse with water. Aqua, Sodium Laureth Sulfate, Lauramidopropyl Betaine, Lauryl Glucoside, Undecylenamidopropyltrimonium Methosulfate, Coco-Glucoside, Glyceryl Oleate, Betaine, Chamomilla Recutita Flower Extract, Allantoin, PEG-75 Lanolin, Panthenol, Lactic Acid, Propylene Glycol, Sodium Benzoate, Potassium Sorbate, Tetrasodium EDTA. Dermatologically tested on people with skin allergies. With hypoallergenic fragrance composition. Does not contain colorants and parabens.